Potholes are the result of moisture seeding into pavement areas. When the water from the moisture gets cold, it causes expansion, then thawing. When this happens repeatedly, it causes the surface to weaken. The weak pavement is then susceptible to erosion from frequent traffic. Over time, the wear and tear of the affected area causes the asphalt and the soil beneath it to be removed, thereby causing a hole. Both the loose asphalt and the ther-eafter hole are safety hazards that can lead to falls and injuries. 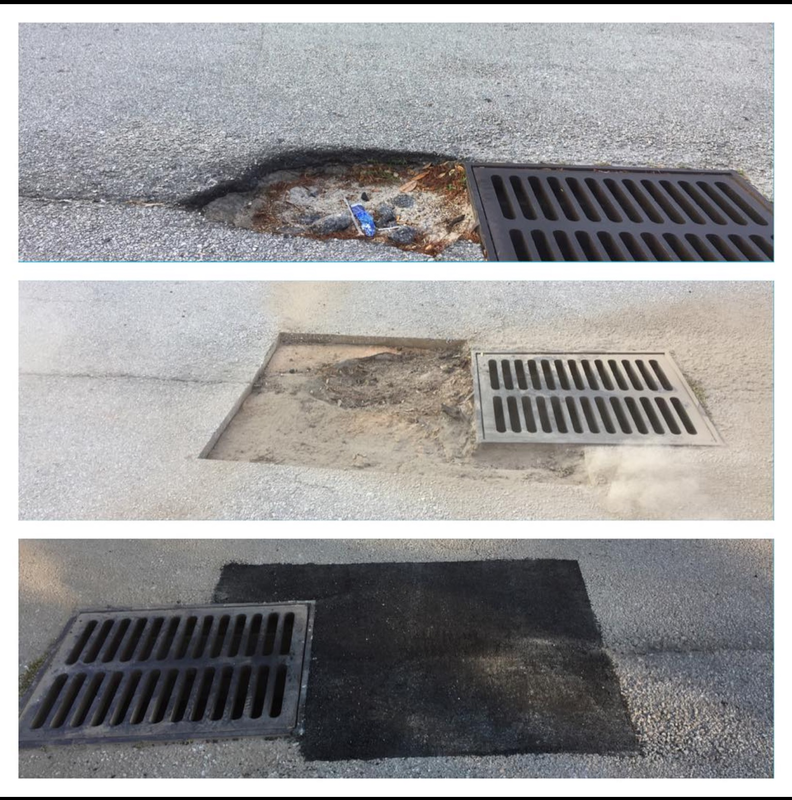 Florida Sealcoating LLC in Orlando, understands that dealing with potholes around your home or business can be a liability and we have a team of experts ready to assist you with any pothole repairs on your property whether it be residential or commercial. Once a pothole is identified, it’s ideal to have the pothole repaired in a timely manner in order to reduce the potential for further damage and risk of an injury. The first step involved in a pothole repair is the removal of the failed asphalt. This can be done with either a jackhammer or a masonry saw. 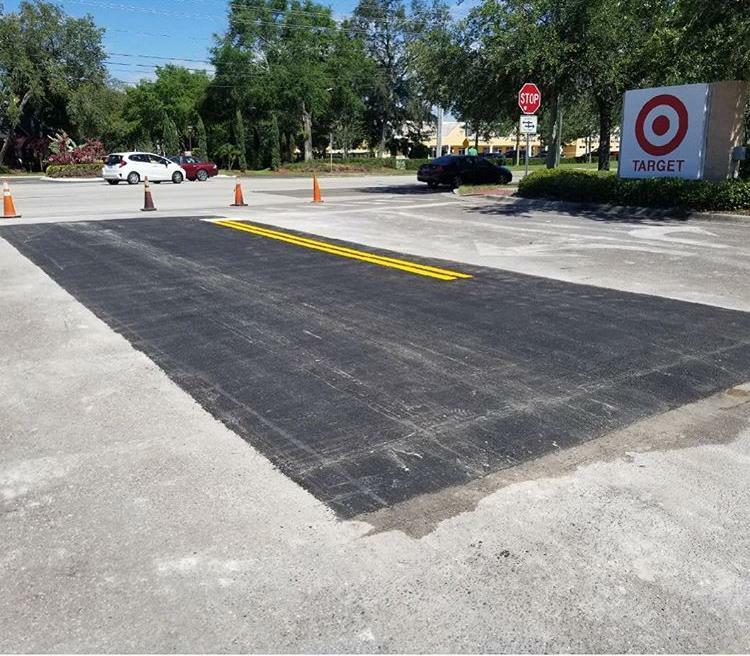 The goal here is to create a clean-cut rectangle while removing the extra asphalt. New asphalt is then added in layers in conjunction with an adhesive. The area is then ready to be compressed and flattened out with a roller designed especially for pavements. 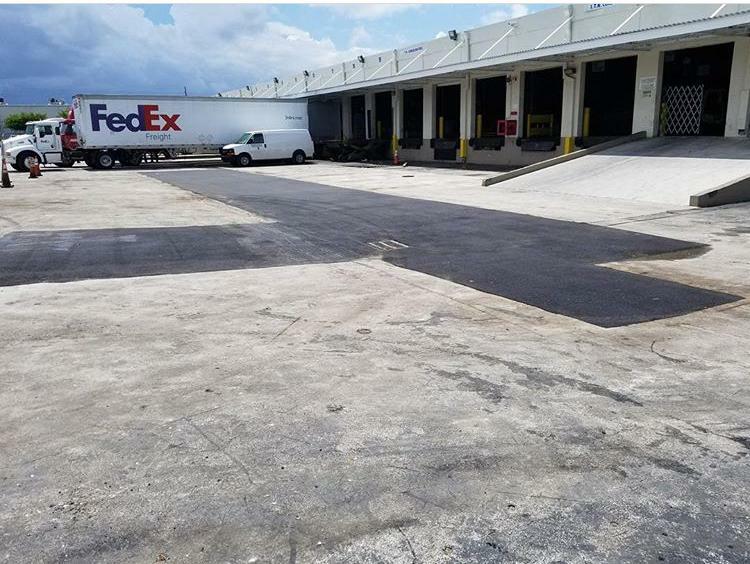 Florida Sealcoating in Orlando takes special care with each and every step of the pothole repair process to ensure the area is safe again for you and your guests. Use a crew to monitor the traffic by putting signs, flaggers and other devices to use to warn drivers of the repair work. Know the area that must be removed by explicitly creating a rectangular mark in this area. Making the pothole repair will begin by taking away any damaged asphalt and making it level. Put tack around the top and bottom area by spraying or pouring it where necessary. Laying the filler material that is required for the pothole repair. This work will significantly reduce the chances of water getting into this area again. No matter the size of the repair we a fully capable of repairing it. 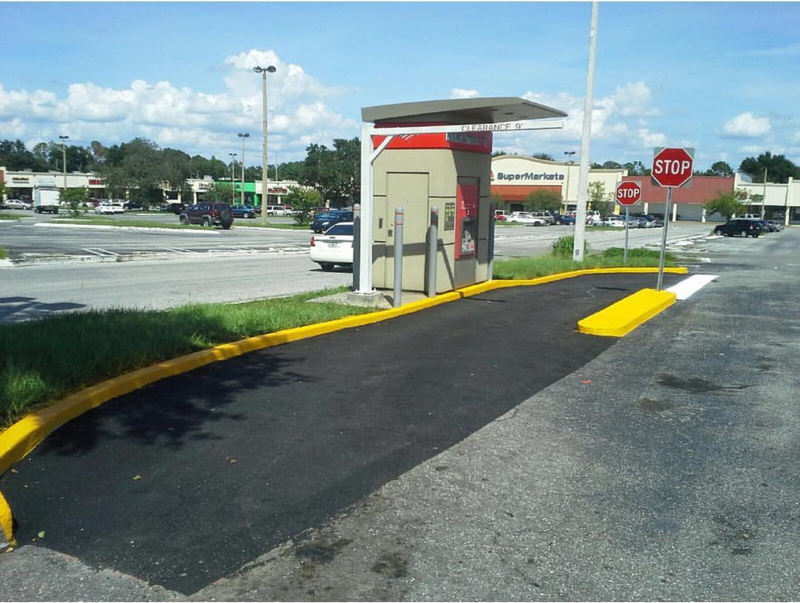 Florida Sealcoating has years of experience repairing potholes throughout the state of Florida. There is no such thing as too big or too small of a job for us. We do it all. 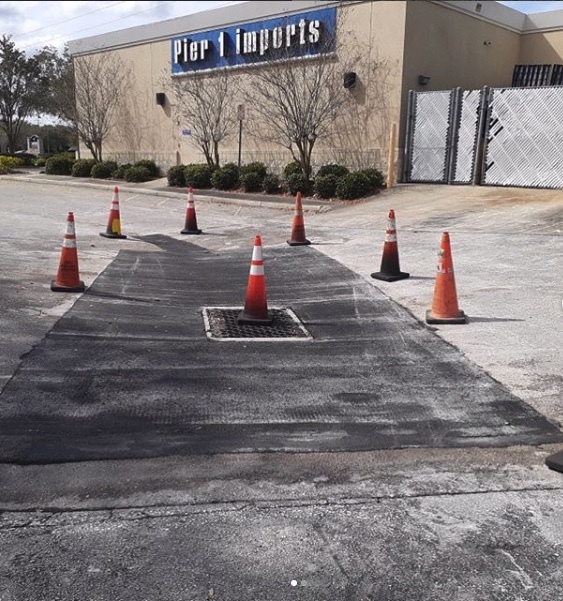 If you’re in Orlando or any other part of Florida and want a pothole repair job that is done right, you can count on Florida Sealcoating, LLC to do it. Be sure to give us a call today at (407) 942-3681 and we’ll give you a FREE estimate! When you have a paved area, sooner or later you’ll end up needing an asphalt repair service. The need for repairs are caused by a combination of frequent exposure to elements that weaken the asphalt and heavy traffic that speeds up the process. The amount of exposure to these elements and the amount of traffic will directly impact the condition of the asphalt. Florida Sealcoating in Orlando, recommends having a professional evaluate the area as soon as you notice an area is beginning to deteriorate. Prompt evaluation followed by timely repair of the asphalt will likely save you money while preserving the lifespan of the asphalt. The goal here is to fix a small issue before it turns into a big problem that is likely to also be more expensive.